Tata Motors has launched a new video teasing the upcoming Tata Zica. 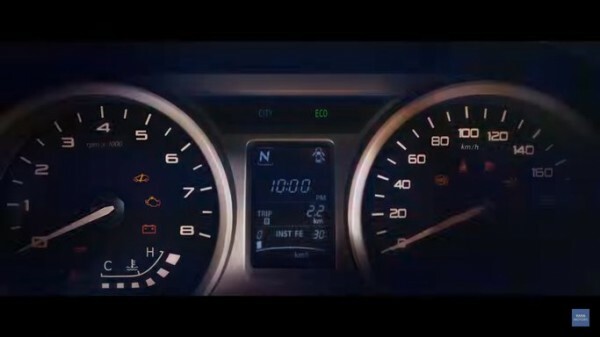 The video shows the instrument cluster and dashboard of the new hatchback. Tata Motors has created a buzz by launching the official photos of the upcoming Zica. The new car’s design is as promising as the company’s new Global Brand Ambassador, Lionel Messi. It can be genuinely called as #madeofgreat. The car is all set to make its global debut at a press drive at Goa tonight. The launch is scheduled later this month. Now, ahead of the launch, the company has launched a new video teasing the Tata Zica. The video shows the interior of the much awaited car for the first time. However, some leaked spy shots already revealed the exact interiors. 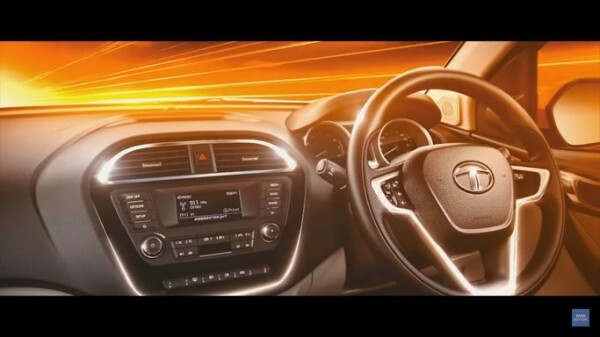 The video shows that the new car has a hexagonal center console with Bluetooth enabled Tata’s ConnectNext infotainment system most likely to be supplied by Harman. The Zica also has two driving options – Eco and City. These modes can be used to remap the throttle according to our needs. Similar options are seen in the Zest/Bolt cousins. These buttons are placed below the infotainment system along with the switches for front and rear foglamps. The Zica’s MID is capable of showing real time mileage, time, the exact door which is open and the current gear position. The new Tata Zica will be powered by a 1.2-liter, non-turbo version of the Revotron, petrol engine and a 1.05-liter, three-cylinder, turbocharged, CR4 diesel engine developed by Tata itself. Both the engines are expected to make it tough for the rivals to survive. These engines will be mated on a 5-speed manual transmission or an AMT unit. Here is the teaser from Tata Motors. Tata Ace Dicor caught testing – AC Exclusive!